Afternoon Tea is perfect for a special celebration or just for spoiling yourself. 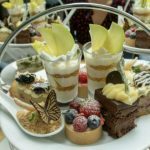 So here are 6 of the best places for Afternoon Tea in Birmingham. 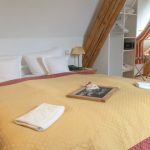 Hotel Drei Raben is the perfect base for your visit to Nuremberg. Read on to find out why my stay in this historic hotel was fit for a princess! The modern luxury of the Apex City Quay Hotel & Spa in Dundee makes it a great base for your visit to one of Scotland’s coolest cities.